My name is Ben Golden. 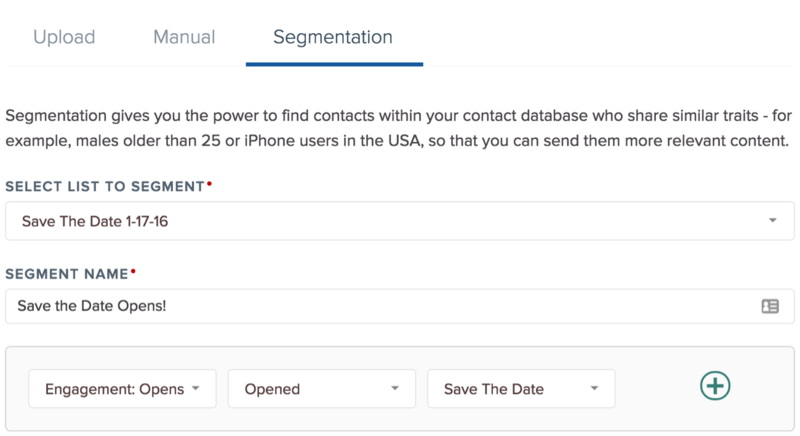 I’ve worked at SendGrid for just over 5 years, and for 2 years and change of that, I’ve worked on our email marketing feature set, Marketing Campaigns in one capacity or another. For close to 2 years, I wrote code and led a team of developers on the project. Six months ago, I became a Product Manager for Marketing Campaigns. So hopefully I’ll sound credible when I say I am very close to Marketing Campaigns! But in all that time, I’ve never felt closer to the experience of those using the product than when I did just that, used the product, for a real campaign, that had real meaning to my life. Thanks to the gracious indulgence of my fiancé Sara, I used Marketing Campaigns to send a “Save the Date” announcement for our upcoming wedding. 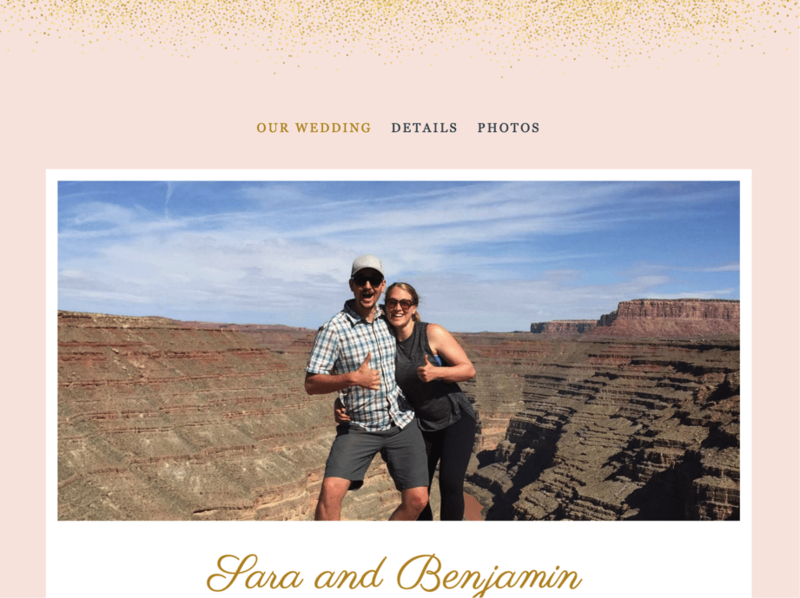 I’d like to tell you about my experience doing so, the power of dogfooding products, what I found on my journey, and finally, a little speculation about the future of wedding invitations. Last summer, while sitting on my cataraft on the Colorado river, I asked my girlfriend a very important question. Much to my elation, she said “yes” which precipitated all manner of planning tasks that were totally alien to me. One such task was building a wedding website. We, like so many other couples, opted to use The Knot, and save ourselves some time. A bit of soul baring later and we had ourselves a right dandy looking wedding website. Thanks The Knot! But, a website no one knows about is no good at all, so we needed a way to announce our big day, and direct people to all the handy information we had so strategically just added to our website. Enter Marketing Campaigns! I’ve often been a fan of dogfooding, as I’ve proudly served in support more than once in my career, and as any veteran of support knows, the first step is always to use your product. Using the products you work on, be you a developer, product manager, marketer, or hell, a custodian, should be the first step for anyone working at a software company. It informs you on what it is your company does if nothing else, and let’s be honest, that’s gonna come up at parties, so be prepared. But more than just what your company does, it shows you how it does it, it shows you what it feels like to use this piece of software, and that’s indispensable. So here’s what I learned on my journey into my product, I hope you find it useful on your own journey into Marketing Campaigns. User customization is easy and powerful with Marketing Campaigns substitution tags. I uploaded my contacts with a custom field called guest_name. This not only let me address my friends by first name, but allowed me to address couples, for whom I only had one address. With a simple substitution tag in my content, I get a custom greeting for each guest. I can even set a default, or fallback value in case I forgot to set a guest_name on someone. A little color matching goes a long way. I matched the colors of our email content to our website, which was so convincing of a match, that I had a friend in the industry ask if the email was sent using a new feature of The Knot. It was in fact, SendGrid’s Marketing Campaigns. Engagement segmentation is wicked fun. Sara and I got to watch, in real time, as people opened our save the date announcement. Let me tell you, Sara was thrilled with that insight, and it sure beats waiting for a snail mail RSVP. The biggest thing I took away from my experience with Marketing Campaigns is just how much even an email marketing novice like myself can accomplish with a great set of tools. Between The Knot and Marketing Campaigns, I was able to deliver a polished, consistent, and robust experience for my wedding guests. I also found meaningful insights about my campaign, that had real meaning to Sara and me, and all with 100% free tools. Granted, my audience is far smaller than most businesses, but I find it genuinely thrilling how much power Marketing Campaigns offers. And with prices and power like this, I’ll wager a guess that the wedding invitation market is ripe for some digital disruption. My Save the Date email was so successful, Sara immediately agreed to abandon her original plan to use paper invitations and stick with Marketing Campaigns for the invitation. So whether you have a growing business to market, or a social event to organize, give Marketing Campaigns a go, you won’t be disappointed! Engineer by education, product manager by trade, and nerd at heart, Ben is a huge fan of Star Trek, Magic the Gathering, paleo cooking, and being outside. Fun fact: Ben Golden, lives in Golden, CO.